My article Beating Bureaucracy Inspires Innovation was first published on Intuit Labs. Perhaps the biggest enemy of innovation within large companies is bureaucracy — the concentration of decision making in a top-down management structure. In bureaucratic organizations, employees aren’t empowered to come up with new ideas and try them out. Instead, ideas must run up the flagpole. Senior leaders must be influenced. Several managers need to be bought in. A single manager, who doesn’t like the idea, can derail the whole effort. It may take several meetings and many months to get an idea approved. The result? Employees don’t even bother trying. Innovation stops and productivity is disrupted. Knowing this, why do so many organizations become bureaucratic? It’s all about the downside. So much time is spent worrying about what could go wrong that not enough bandwidth is left for making things better, which, after all, is what innovation is all about. If you’re afraid of the immense damage an empowered employee could cause, it makes sense to install checks and balances so problems are avoided. “Losers visualize the penalties of failure. Winners visualize the rewards of success.” — William S. Gilbert, dramatist, poet and illustrator. Default to trusting every employee. One of the poisonous side effects of many bureaucratic processes is that the default assumption is every employee is treated as a suspect. We might be up to no good. Better check and double-check what we’re doing. We get treated like we’re at the security line at the airport. But if every employee is implicitly trusted, then we don’t feel the need to check and double check. It’s like the clear line at the airport and the line moves along swimmingly. Tolerate mistakes but fix them fast. Employees are human and every once in a while someone is going to make a mistake. Instead of designing processes that try to prevent mistakes from happening — which slow things down — strive to fix mistakes as quickly as possible. For example, when empowering a team to make website changes, if a mistake breaks the site, the team can quickly revert to the previous version and hardly any customers would notice. Blame mistakes on the system, not the person. Instead of coming down on the person, let’s assume they had good intentions. Something in our system made us vulnerable to mistakes, whether it be poor documentation, confusing user interfaces, lack of unit tests, etc. A mistake should be a learning opportunity to make the system more robust (vs. the lazier approach to add new processes). Freedom inspires innovation. 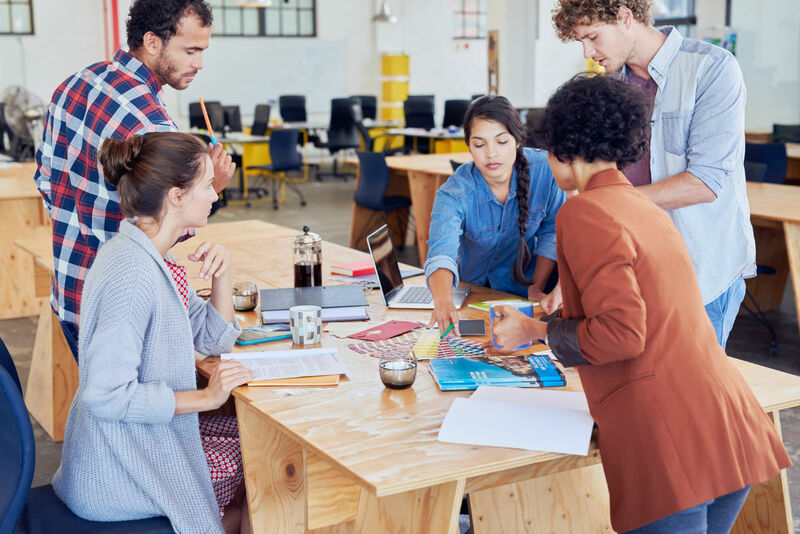 A key component of Intuit’s innovation culture is Unstructured Time, which provides every employee the time and freedom to pursue ideas they are passionate about. The operative word here being “freedom,” in that employees have autonomy on what they choose to work on and how they do it. You can think of Unstructured Time as the anti-bureaucracy medication. Intuit also created experiment sandboxes. It’s understandable how unhappy a customer might get if they are exposed to a bad experience caused by an experiment. But imagine if you could create a sandbox where customers’ expectations are set appropriately (try at your own risk). This greatly reduces concerns we might have about downsides.